A team of researchers including CEEH members Ed Kelly and Jonathan Himmelfarb, along with other NIEHS grantees and National Toxicology Program (NTP) scientists, developed the first method to test for kidney toxicity using high throughput screening (HTS). Because drugs and environmental chemicals can cause injury to kidneys, the new test could help reduce a significant health burden for patients and decrease the financial risk for pharmaceutical and chemical companies. 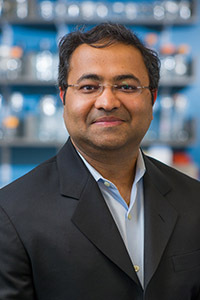 “A few years ago at the Society of Toxicology annual meeting, Vishal stopped by the NIEHS booth, where we were demonstrating DrugMatrix,” Auerbach said. DrugMatrix is a molecular toxicology database that contains toxicogenomic profiles for hundreds of compounds. “DrugMatrix enabled us to provide a list of prototype kidney toxicants for him to test,” he said. The team validated the HO-1 biomarker in two ways. University of Washington researchers Edward Kelly, Ph.D., and Jonathan Himmelfarb, M.D., found that, following a kidney toxicant challenge, HO-1 was induced in a kidney-on-a-chip system that uses living tissue to accurately model organ function. Auerbach, collaborating with Dan Svoboda, Ph.D., of Sciome, LLC, examined two rat toxicogenomic databases and identified a significant association between HO-1 expression and kidney injury.